Hanold Associates has recruited Denis Suggs to the Board of Directors for Patrick Industries. Jason Hanold and Ashley Schiele conducted the search for this appointment. Denis Suggs, President and Chief Executive Officer of Strategic Materials, brings more than 20 years’ experience in leading complex global businesses with revenues ranging from $100M to over $1.6B. Before joining Strategic Materials, Mr. Suggs was with Belden Corporation, a producer and seller of a comprehensive portfolio of connectivity and networking products. At Belden, he most recently served as Executive Vice President of Americas Operations & Global Cable Products. Previously, Mr. Suggs served as Vice President of Operations of Belden and its President of Americas Division since joining the company in May 2007. He has also held executive positions at Danaher Corporation (President of Portescap) and Public Storage (Senior Vice President of Operations) and progressed in his early career at IBM Corporation to lead all manufacturing operations for their hardware division across North America. Founded in 1959 and incorporated in Indiana in 1961, Patrick Industries is a major manufacturer of component products and distributor of building products serving the recreational vehicle (RV), manufacturing housing (MH), marine, kitchen cabinet, office and household furniture, fixtures and commercial furnishings and other industrial markets. 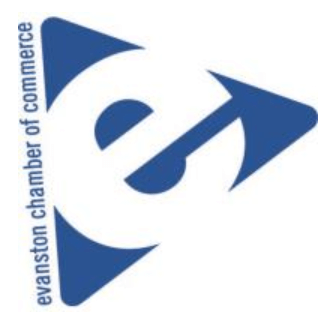 Headquartered in Elkhart, Indiana, they operate coast-to-coast with over 70 facilities throughout the United States and in China, Mexico and the Netherlands. 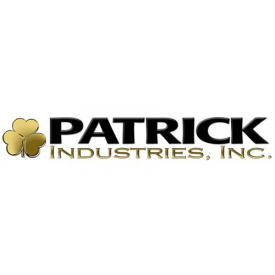 The members of the Board of Directors for Patrick Industries provide leadership, guidance and expertise in Patrick’s areas of business which include the RV, MH, Marine and Industrial industries. The business generated from all company operations are currently projected to produce $2.0-$2.2B in revenue in 2018 with expectations to continue Patrick’s ascension to $3B and beyond over the strategic planning period. Mr. Suggs will bring expertise in his ability to examine, analyze and opine on all aspects of managing the operations which the Board governs. To round out the capabilities of the Board, he will bring steeped knowledge and experience in manufacturing operations and will provide guidance to Management to achieve the objectives of the company’s Organizational Strategic Agenda (OSA) and long-term strategic planning.